Rehearsals have begun on a weekly basis in Alton, Andover, and Basingstoke. Did you know that First and Early Access Ensembles were launched last year to bring playing with others earlier into musical journeys? They not only improve pupils’ learning, but pupils are more likely to continue on an instrument when in an ensemble and will make some musical friends along the way. Please do encourage your pupils to visit a rehearsal. 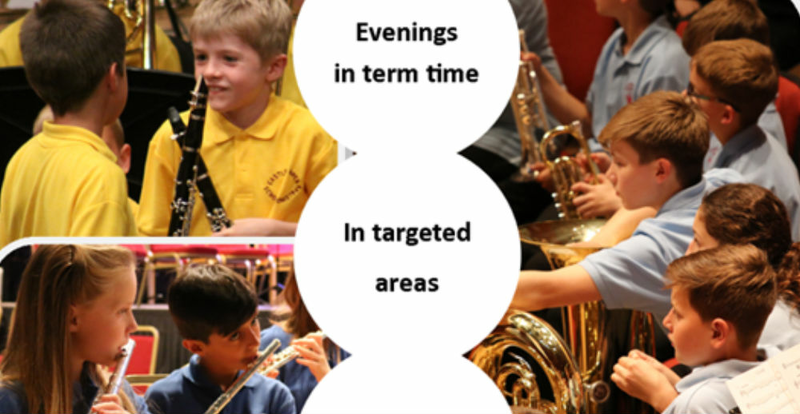 Pupils are also using these ensembles to boost their learning when starting a second or even third instrument.